Through the real-life context of one child learning to be bilingual and biliterate, this book raises questions and provides a context for pre-service and practicing teachers to understand and reflect on how children learn to read and write in multiple languages. Highlighting the social and cognitive advantages of biliteracy, its purpose is to help teachers better understand the complexity by which young children become biliterate as they actively construct meaning and work through tensions resulting from their everyday life circumstances. Perspectives regarding identity and language ideologies are presented to help teachers refine their own pedagogical approaches to teaching linguistically diverse children. 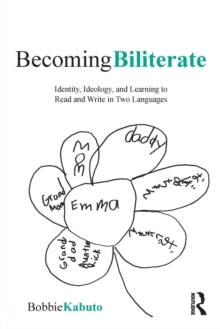 Readers are engaged in understanding early biliteracy through a process of articulating and questioning their own assumptions and beliefs about learning in multiple languages and literacies.